The logo of a company is the face of the whole team. It is the presentation of your brand and the key element that people will remember, apart from the slogan. In the case of the logo, many factors such as colors, typographies, styles, and forms intervene that in a psychological way play an important role to send the message to all the people who see it. 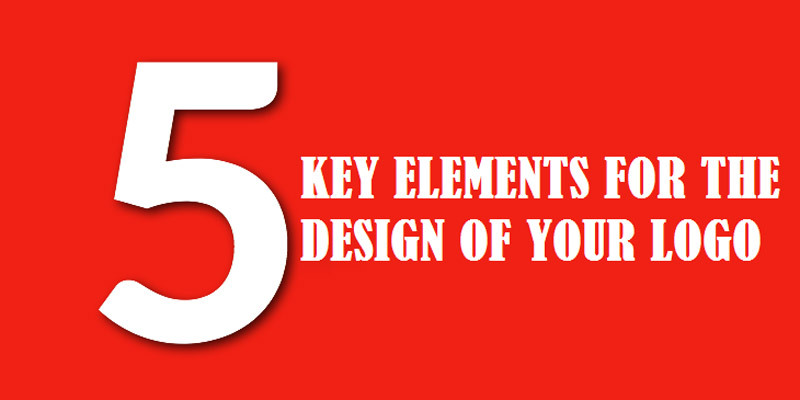 The design of your logo can be very simple if you consider 5 key elements, so the result will be a great product. The design of a logo might seem like a simple task but in reality, it is a rather complex process in which several aspects must be taken into account. The most important thing is that your logo transmits the message of your brand and has a style that adapts to it, so it will be easier for people to remember you and associate images with your product. Before making any prototype you must understand and have a broad overview of the entire brand, the objectives, the message that you want to send to the public, the target they are targeting, the product or service they sell, etc. Only in this way will the image of the brand be able to communicate the message accurately and the public will be able to identify with it. It is not that you have to discover the black thread, but for your company to have a unique image you need to do something different. Think creatively and use things that you have seen in a few places, for example, Apple does not have a logo computer. You can take things out of context and do something different but in a simple and intelligent way. 3. Take Into Account The Theory Of Color! Each color has a different meaning and implication that is why it is very important that you know the theory of color and all the uses you can give to each one. Do not limit yourself to solid colors, use gradients and different pantones to create interesting mixes. Like the colors, the typography according to whether it is thin, straight, square or round, bold, cursive or high, will have different meanings in your logo. Remember that a logo design in UK consists of image and text, so you must create a balance between the two so as not to saturate the element and not be charged to the view. The logos that are most successful throughout history are those in which people do not have to stop so long to analyze to know what they are dealing with. Today in the digital age you must do something that transcends because your logo will be seen on social networks and websites. Now that you know these 5 key elements for the design of your logo put them into practice. If after having designed it you still have some doubts you can do a market study to know what people think. It is important that before sending print business cards and all the elements that are part of the identity of your brand, you ensure that everything is perfect. Remember that with time you can also make small changes as necessary. Once the logo design is finished you can continue with the creation of your social networks and your website so that with your help you can attract more clients and more prospects. Remember that all the work you do should be guided along the same line, so you will get better results.